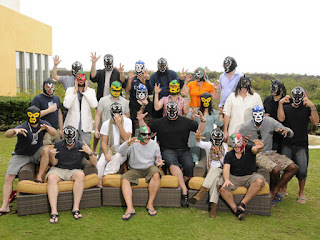 I had the honor to go to Mexico and participate in the jury for the 2009 Andy Awards. One week of judging at an amazing place together with some of the best creative minds in the advertising business. 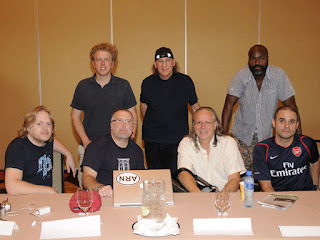 In this picture from top right: Andrew Keller - CP+B, Bob Greenberg - RGA, Feh Tarty - Wieden & Kennedy, Myself, Pete Favat - Arnold Worldwide, Jeff Goodby - GSP, Gerry Graf - Saatchi & Saatchi. The 2009 Grandy was awarded to BBH New York (with the swedish Sjönell brothers) for their integrated campaign to launch the new Oasis album "Dig out you soul". I was happy to see a gold medal awarded to our friends at Perfect Fool for their work with BBH London for Mentos - Mentos Kisscam.